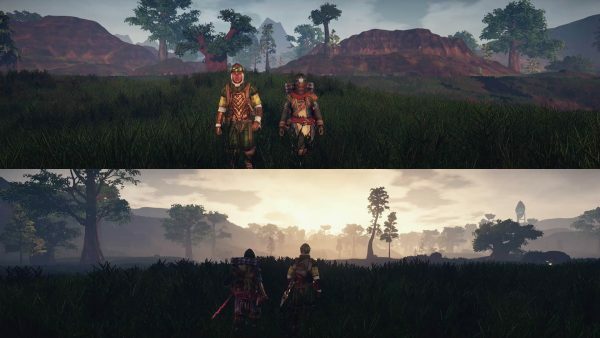 Outward is a curious game, a rarity that allows you to play an RPG with a friend via split-screen or online. This premise makes it more interesting and accessible to those who wouldnt normally play a typical RPG. That being said, Outward is a little rough around the edges, but can it overcome that to be a must play experience? First of all, the one thing that puts you off is the unimportant story that begins with you having to pay off a “Blood Debt” which is actually basically a mortgage that you have 5 days to pay off before losing your home and you go out on quests to earn cash to do so. 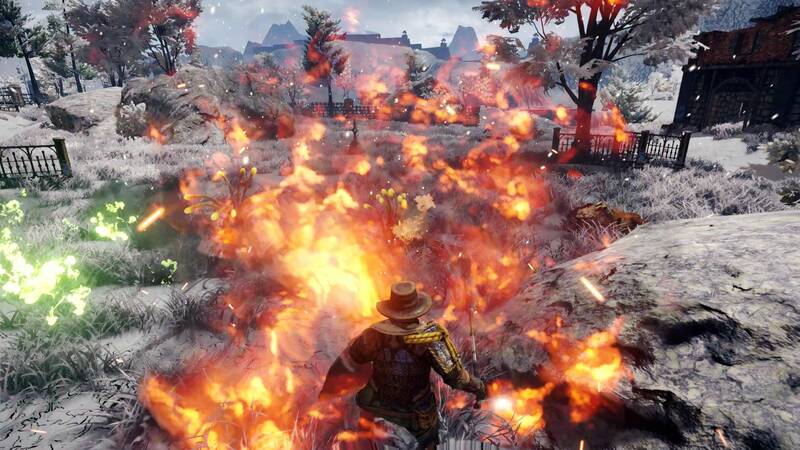 On top of which, it’s more of a survival RPG which isn’t to everyone’s tastes. Personally I didn’t mind it too much, but it’s definitely more challenging as a result. The game does have Xbox One X enhancements, but no HDR which is a shame. HDR would have brightened up the world a bit more. In terms of visuals though, Outward isn’t too shabby…sure it’s not going to win any awards and the low-budget intro that looks like a PowerPoint presentation leaves a lot to be desired, but the locations are nicely designed and the character models aren’t too bad. The soundtrack is also fairly impressive, while the voice-acting is a mixed bag overall. Outward is interesting with it’s drop in/out co-op system and survival mechanics, but the story is dull and the game is rough around the edges. I think with a few patches to address some issues it could be something special, while at the moment it has potential and is fun to play, it lacks the polish that would otherwise make it stand out.